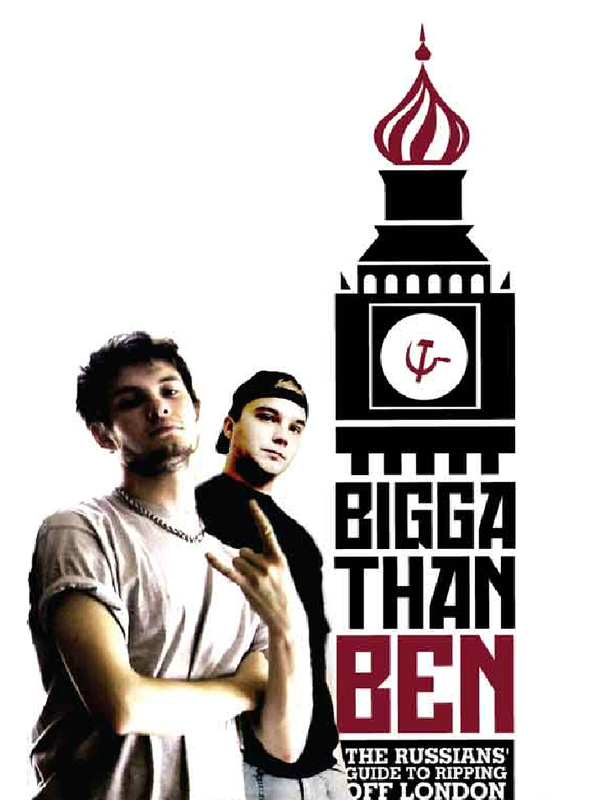 Ben Barnes (Prince Caspian) and Russian heartthrob Andrei Chadov (Russkoye) will be seen in UK cinemas from October 10th in the breezy, barbed satire BIGGA THAN BEN. The film, a smash-hit at this year's Edinburgh Film Festival, follows the wild exploits of two freewheeling Russians as they embark on a headlong charge through the seedy underworld of the multi-cultural melting pot that is London. Based on the award-winning diaries of Pavel Tetersky and Sergei Sakin, Bigga Than Ben was a hit in Russia, where it premiered to a sell out audience of 2,000 at the Moscow Film Festival Gala, before taking $500,000 at the Russian Box Office. With music by Pete Doherty and Joe Strummer, and featuring the debut by the latest of the Fiennes dynasty Hero Tiffin-Fiennes (The Half Blood Prince in the next Harry Potter film), BIGGA THAN BEN takes a darkly comic look at what it takes to survive as an outsider in the harsh, unforgiving and pricey yet fascinating UK metropolis. Р�СЃРїРѕР»СЊР·СѓРµС‚СЃСЏ Р·РµСЂРєР°Р»Рѕ РЅР°СЃС‚РѕР»СЊРЅРѕРµ РґР»СЏ РјР°РєРёСЏР¶Р° Рё РїСЂРѕС‡РёС… РєРѕСЃРјРµС‚РёС‡РµСЃРєРёС… РїСЂРѕС†РµРґСѓСЂ, РІРµРґСЊ СЃРІРѕРµ Р»РёС†Рѕ РјРѕР¶РЅРѕ СЂР°СЃСЃРјРѕС‚СЂРµС‚СЊ РґРѕСЃРєРѕРЅР°Р»СЊРЅРѕ.